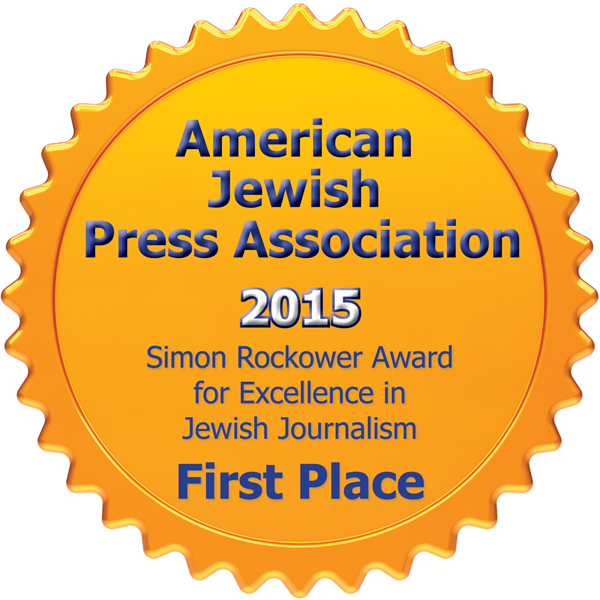 The annual American Jewish Press Association’s Simon Rockower Awards recognize excellence in Jewish journalism. Once again, the Jewish Independent has been honoured with a Rockower for its work, winning first prize in its circulation category for editorial writing. The JI’s editorial board – Basya Laye, Pat Johnson and Cynthia Ramsay – were recognized for the op-eds “How we memorialize the past,” “Sukkah more than symbolic” and “The year it all changed.” All of these editorials – and other opinion pieces and articles published by the JI can be found at jewishindependent.ca. “How we memorialize the past” (Sept. 1, 2017) uses the racist rally in Charlottesville, Va., which “was ignited, ostensibly, by the removal (or threatened removal) of Confederate commemorative statues and plaques,” as a jumping off point to talk about how communities and societies commemorate the people and events of the past, including here in Canada. This year’s awards – honouring articles published in 2017 – were presented at the 37th Annual Simon Rockower Awards banquet, held in conjunction with the AJPA’s 2018 annual conference June 17-19 in Cleveland, Ohio. Second place in the under-15,000 circulation category went to the St. Louis Jewish Light, based in St. Louis, Mo. Winners in the 15,000-plus circulation category were the Forward (New York, N.Y.), taking first place, and the Jewish Standard (Teaneck, N.J.) placing second. The Jewish Independent is among the winners of this year’s American Jewish Press Association Rockower Awards for Excellence in Jewish Journalism. The awards were presented at the AJPA annual conference, held in conjunction with the Jewish Federations of North America’s General Assembly in Los Angeles, Nov. 13-15. The JI won first place for excellence in editorial writing for a trio of opinion pieces: “Let’s talk about Nini …” (Feb. 26, 2016), “Much more yet to learn” (Oct. 7, 2016) and “Inspired by Standing Rock” (Dec. 9, 2016). Placing second in the same circulation category (14,999 and under) was Intermountain Jewish News, based in Denver, Colo. The editorial “Much more yet to learn” was about the need for Holocaust education and “Inspired by Standing Rock” connected the story of Chanukah, “of standing for one’s beliefs (and existence) and triumphing in the end,” with that of the protesters in North Dakota, who stood up against the U.S. government’s plans to run an oil pipeline through a cemetery and under a water reservoir near the Standing Rock Sioux Reservation. Jewish community member Paul Shore of Whistler won this year’s Whistler Independent Book Awards (WIBA) non-fiction prize for his memoir Uncorked, set within the rampart walls of a village in Provence. Farida Somjee of Vancouver won the WIBA fiction prize for her novel The Beggar’s Dance, set in the streets of coastal Africa. 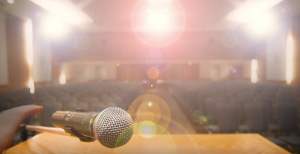 Earlier this month, the American Jewish Press Association announced the winners of this year’s Simon Rockower Awards for Excellence in Jewish Journalism, which honor achievements in Jewish media published in 2014. In its division (newspapers with 14,999 circulation and under), the Jewish Independent garnered two first places. The JI editorial board – Pat Johnson, Basya Laye and Ramsay – won the paper’s other award: first place for excellence in editorial writing. The three editorials that comprised the winning entry were “The message is universal” (March 7, 2014), about plans for the Canadian National Holocaust Monument to be constructed in Ottawa; “The spirit of Limmud” (Feb. 14, 2014), about how the vision and passion of one woman, Ruth Hess-Dolgin z”l, significantly enriched our community by initiating the movement to bring Limmud here; and “Uniquely set apart for exclusion” (May 9, 2014), about the Conference of Presidents of Major American Jewish Organizations decision to exclude J Street from the group. The Rockower awards will be presented at AJPA’s annual conference, which, for the second year in a row, is scheduled around the Jewish Federation General Assembly being held in Washington D.C. Nov. 8-10. AJPA sessions will be held Nov. 9-11. 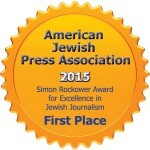 The entire list of Rockower winners can be found at ajpa.org/?page=2015Rockower.